Without a doubt, an often used and particularly devastating problem during child custody matters are false allegations of child abuse or child sexual abuse. 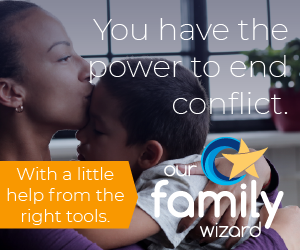 When some malicious parents, driven by hate or personality disorders, acquire a “win child custody at all costs” mentality – false allegations of abuse are often the result. Those costs aren’t just financial. The costs include the loss of a normal life for the targeted parent for eternity. The costs include the loss of childhood for the child or children used as a weapon for just such an assault. The impact from false allegations is almost always swift and severe. A devastating weapon it quickly cuts the targeted parent from the household, the life of the false accuser, and the lives of the children during child custody proceedings. Since most law enforcement and family court entities tend to “err on the side of caution” – a mere allegation sets in motion arrests, incarcerations, restraining orders, and more. Parents, usually fathers, are separated from their children for extended periods of time. When they are finally exonerated, that often doesn’t end the maltreatment and suspicion in the form of supervised and brief visitations with children going on for months or longer. The false allegation of child abuse is the single most effective and the swiftest tool to gain control over the custody of the children. Temporary orders have an innate way of turning into permanent orders. This is especially true if the accused has limited resources available to obtain quality legal representation for a protracted legal battle in defense of themselves. With one very poor decision, the false accuser will efffectively destroy the their spouse’s or ex-partner’s life, their career, and their relationship with the children will forever be negatively altered. Further, the children will have to endure multiple interrogations by authorities and child welfare workers, and in the case of false accusations of sexual abuse, invasive examinations that will impact them psychologically. All of this is done in an effort to win child custody. It’s also very sad. It is critically important that if things are becoming very contentious between you and your spouse/ex-spouse that you do everything in your power to avoid putting yourself in a position where a false allegation of abuse might take hold. Always maintain your self-control. Be respectful and courteous in your communications with your ex-partner no matter the circumstances. If you are accused, take the accusations seriously. Don’t agree to settle for lesser charges in exchange for little or no jail time. You’re innocent. Regardless of the impact on your future, avoid being labeled a child abuser or child sexual predator with everything you have. Get an attorney and don’t talk to the police without legal representation.